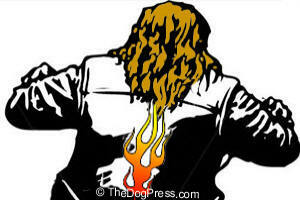 PETA SAYS DOGS ARE BETTER OFF DEAD: MORE PET KILLINGS! PETA pretends to care for animals but your donations pay them to kill people's pets and our government allows that? How can PETA and similar animal rights dupe the public - and IRS? 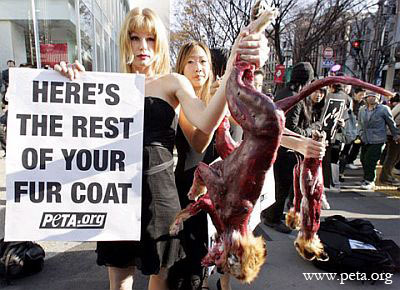 Scantily clad women parading with bloody dead pets prove they use your donations to seek sickening publicity but PETA kills the very pets you donate to protect! Wyoma Clouss, an AKC judge, sent this to TheDogPlace.org and the editor asked me to share it with readers. It is hard trying to educate owners when they are constantly bombarded by PETA’s multi-million $$$ budget. TheDogPlace.org wants young families and new pet owners to know the truth. Most of us just see emotional "animal rights" adverts and never know what really goes on. Like many people, I have donated to what I now know to be "animal rights" groups that don't do anything for animals. Don't feel bad if you teared up and reached for the checkbook when seeing those poor dogs and cats used in the humane society TV ads. The internet is full of PETA quotes like (my cats, your dogs) are better off dead? And another one attributed to PETA is "better dead than fed". What does that mean? Nathan Winograd says “After my November debate with PETA's attorney at the University of Virginia Law School, in which (they) argued that animals were better off dead and that shelters should do little more than kill them, I argued that they had a right to live and shelters should be more than death camps. It was hard for me to find statistics that show the number of animals killed by PETA. In just one instance TheDogPlace.org reported PETA throws dogs and cats in NC dumpster but the case was dismissed against those arrested employees. Here is a new twist on that old quote. “Money Talks and PETA Walks.” Do people actually get paid off to dismiss charges? There are records of PETA killing and dumping “rescued” pets from NC to NY and the west coast. This “Abolitionist” website is one of the best sites I came across while surfing PETA's unbelievable acts against animals. If you find it hard to believe that PETA and other animal “rights” organizations would do anything to harm dogs, cats, horses and other domestic animals, you should read what they say. Or look at the photos! I looked it up and as unbelievable as it sounds, it is true. PETA kills most of the animals it "rescues". Did you know that PETA founder Ingrid Newkirk advocates PETA’s position on killing all pitbull terriers? That's just a ploy. I suspect she would happily kill a poodle. TheDogPlace Terrorist Section doesn't hold back and it seems plain to me that PETA is all about the tax-free money and publicity for sick egos. What I want to know is why there are no criminal prosecutions for animal cruelty? 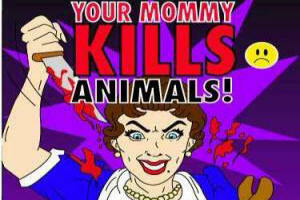 Most real animal advocacy groups agree that PETA is getting away with murder. Literally. Even when it goes public, nothing is done. 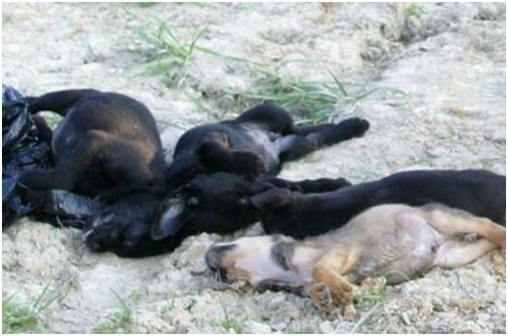 Look at this - “Puppies PETA killed within minutes in the back of a van after promising to find them homes: http://bit.ly/XCSdI3. PETA described them as "adorable" and "perfect." Then they get tossed on the side of the road or into a dumpster. Yes, that too, I read that in TheDogPress.com so before you donate to PETA, look at these photos and see where your donations go. The photo really got to me and although Mr. Winograd apologizes to readers, I think he was wise to show what really happens. I am ashamed that I once donated and my money went to make things like this happen. Since I have become interested in researching and writing about the animals I love, I have learned more than I really wanted to know. Next time I will find something more uplifting to share with you. It is very depressing and I know pet owners just "don't wanna think about it" as my cat friend said to me. But millions of people make themselves feel better by donating to such groups instead of taking time to check out local rescue groups. While some of those rescues have learned about free money, most of them are real people doing real work and they could use that donation you were thinking about sending to PETA or the HSUS people. Rescue Raids, Animal Rights or Animal Welfare? Go to VIDEO Theater to watch this 18 second security camera that clearly shows PETA stealing a little dog. PETA stealing pets ruled by VA prosecutor as NOT theft! 3 Animal Rights Activists missing after "War On Leather" campaign. Killing and throwing 31 pets into dumpster? Court throws out case!! !